Clinked now generates Thumbnails for your files - creating a clear, visual layout with previews of all your different documents. This will be especially useful for those who deal with lots of graphic images on a daily basis. You will always have the option to switch between the classic list view and thumbnail grid view, so don’t worry if you prefer not to display thumbnails. How to view your documents with thumbnails? 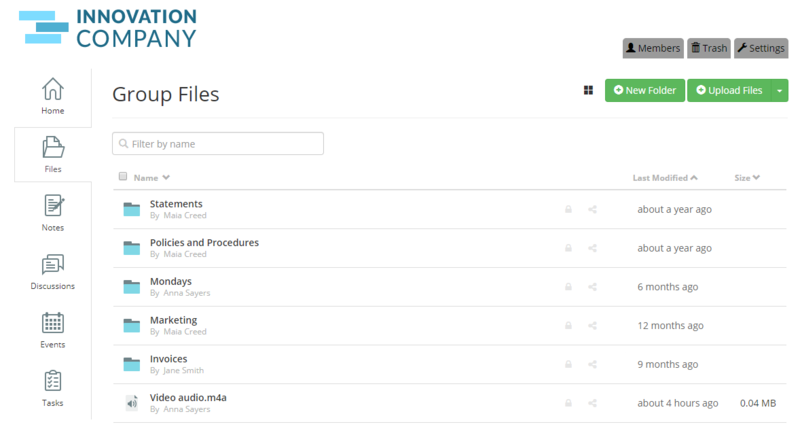 The new document thumbnail gallery allows you to have a much more visual and engaging overview of your Clinked files. This feature supports most common file types, including; doc, docx, ppt, pptx, PDF, PNG, JPEG, JPG, SVG,TIFF, mp4, mov, mpg, mpeg, m4v. 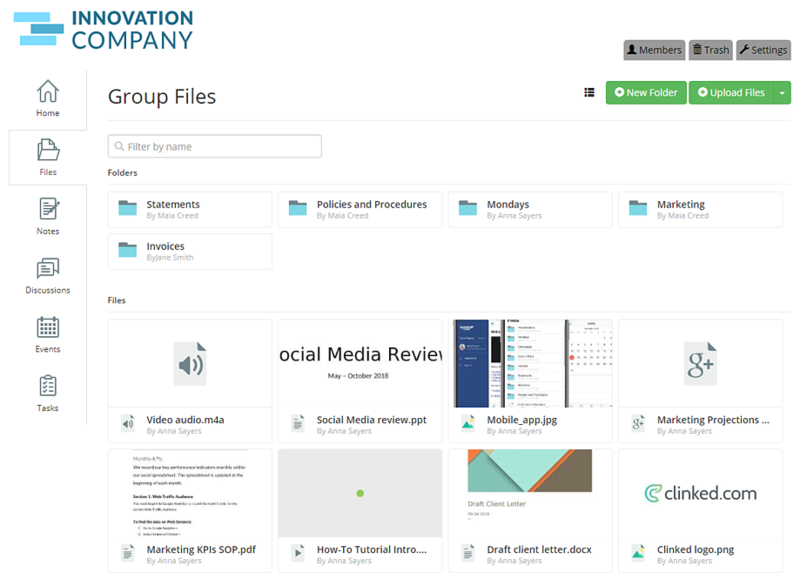 To view your documents in the thumbnail gallery, first you will need to go to the file section of a group. You will notice that there is a new grid icon with 4 small squares located in the top right corner of the page - select this. After selecting the icon you will see your documents displayed in a gallery, each with a thumbnail showing a preview of the file. If you would like to switch back to the classic list view then simply select the list icon and it will change back. We hope this new feature makes your experience with Clinked an even better one. As always, if you have any questions, you can get in touch at support@clinked.com! Or if you have any feature suggestions that you think would improve your Clinked experience, you can submit a feature request here.